SleepSoft is the solution for restful, comfortable sleep. Whether you’re at home, traveling, or on vacation, quality rest is essential to your physical and mental well-being. However, ambient noise such as fellow travelers, nearby activity, or even snoring from others in the room can keep you tossing and turning. SleepSoft is the solution for restful, comfortable sleep. With a unique acoustic filter that reduces ambient noise in cars, aircraft, trains, or unfamiliar surroundings—including loud snores—you’ll enjoy a better night’s sleep wherever you are. 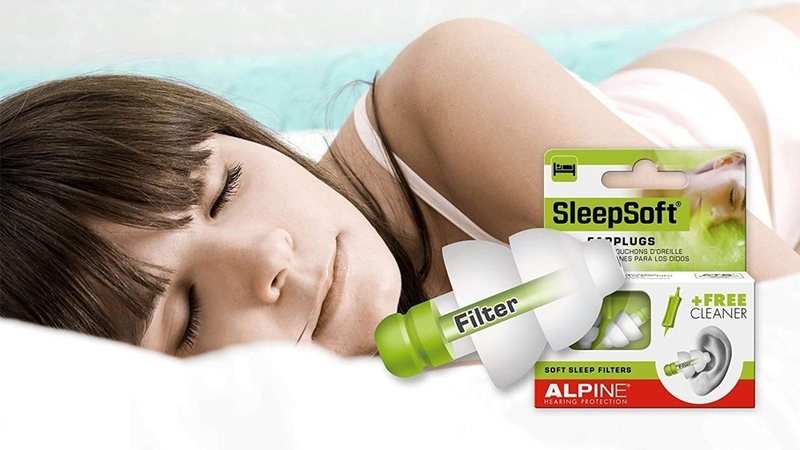 Alpine SleepSoft reusable earplugs are made with a unique, flexible plastic that is softer and more comfortable than silicone. These durable yet pliable earplugs are molded through your body heat to precisely fit your ear canal in just a few minutes, and the sealing lamellas can also be adjusted to conform to the shape of your ear. 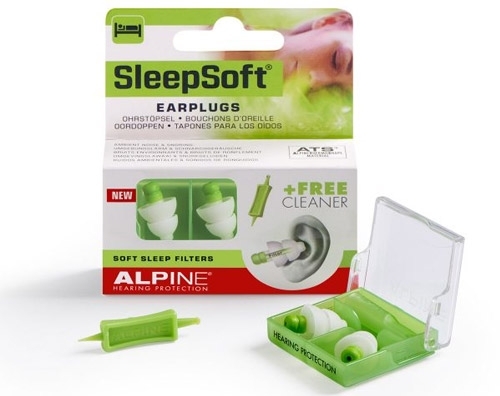 It’s easy to clean your reusable Alpine SleepSoft earplugs. Simply wash with mild soap and lukewarm water after each use to extend the life of your earplugs and ensure a perfect fit every time. Protects hearing during long journeys. Helped me sleep next to a busy road! I ordered the ear plugs and they took about 2 months to arrive, once they did I was relieved but they didn’t block out snoring unfortunately so I just banned them. Pretty disappointed but I’m sure they work for others. I ordered those earplugs because I read all "good reviews"; what a joke. They are absolutely useless, the noise reduction is almost non-existent. I returned them straight away only to be informed that I've just wasted over $50 because they don't do refunds. I've ordered things from USA, Germany and Australia; this is the worst service of all. I am a light sleeper and tend to wake to noises. These have helped me to sleep heavier and for longer periods undisturbed. I can still hear the kids if they wake and call out but it does take me longer to notice, for example my husband has responded to the call before me a couple of times. His snoring is still audible but is masked so my sleep is not disturbed. I did find them a bit long but after cutting it a tiny bit as suggested in instructions they fit really well. Easy to insert and stay in all night without the need for adjusting. Caution to all customers who are interested in this product.